I made the above yummy donuts with my Babycakes mini donut maker. 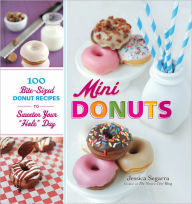 I followed a recipe from Mini Donuts: 100 Bite-Sized Donut Recipes to Sweeten Your "Hole" Day, by Jessica Segarra. The recipe I worked with is called "Nutella Mini Donut". I simply swapped out the regular flour for a gluten free one. In this case, I used President's Choice Gluten-Free All-Purpose Flour Blend. 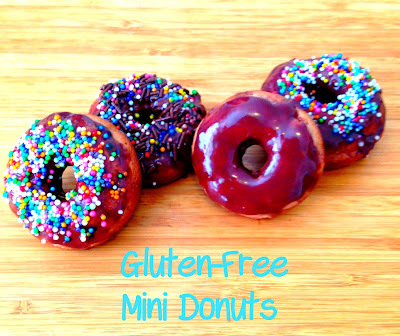 Overall, I was really quite happy with how these little donuts turned out! Even the gluten eaters in my family enjoyed them. So much so, that they have been requesting that I make more!